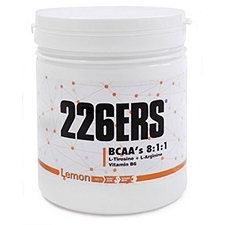 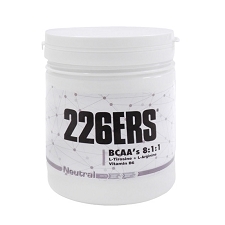 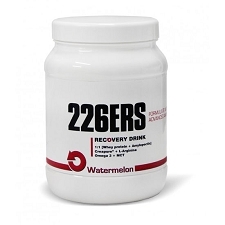 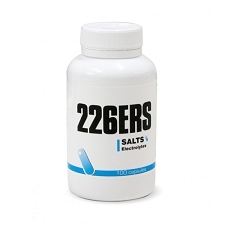 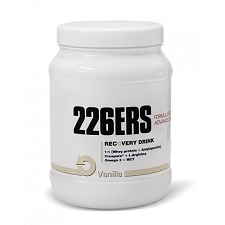 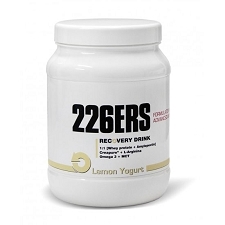 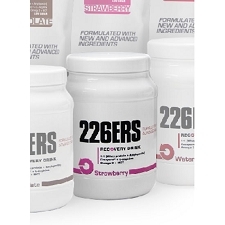 Mineral salt capsules of the 226ERS brand for sessions of high-intensity exercise. Designed to offer a rapid intake of minerals, helping in this way to maintain salt stores at optimum levels in especially warm times and during long-lasting activities. 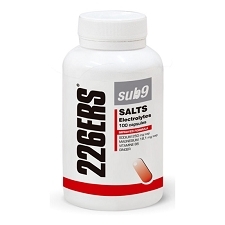 The novel Sub9 Salts Duplos capsules provide a greater amount of sodium and magnesium and lower potassium, as well as adding ginger extract in order to improve digestion. 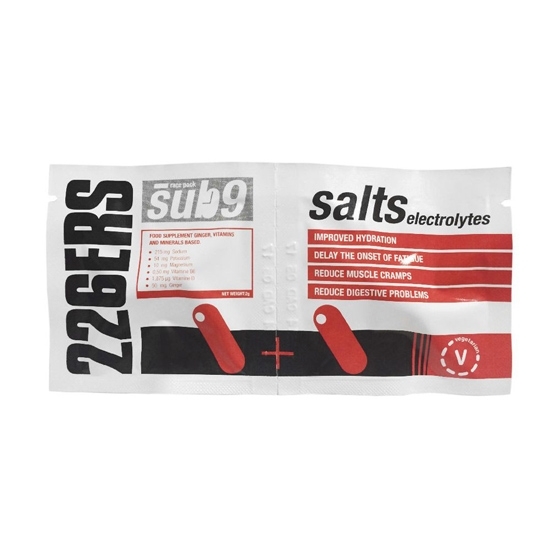 Before exercise, a capsule to obtain an optimum level of salt. 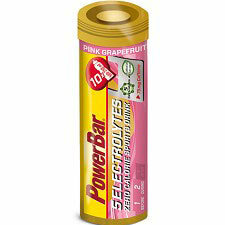 During, one capsule/hour from the first hour or 2 in cases of extreme heat to avoid cramps and improve hydration. After, a capsule to accelerate recovery. 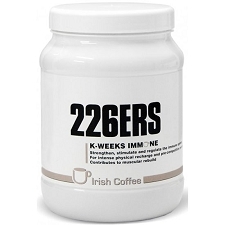 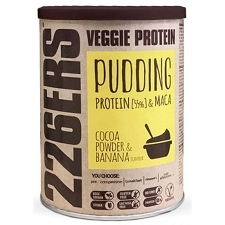 Recommended Daily Quantity: 1−2 capsules. Take one capsule every 2 hours in heat and conditions of moderate sweating. 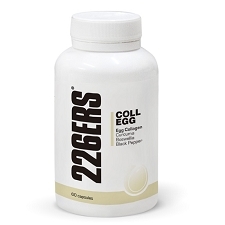 Take a capsule every hour in case of extreme sweating. 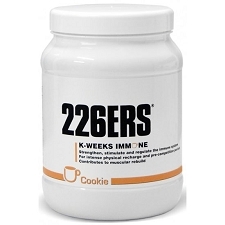 Take each capsule with at least one glass of water. 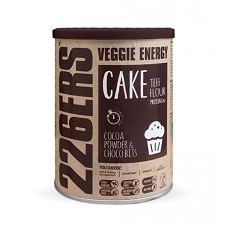 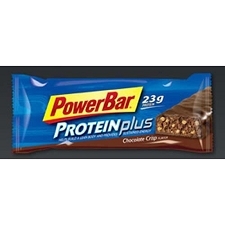 Not to be used as a substitute for a balanced diet. 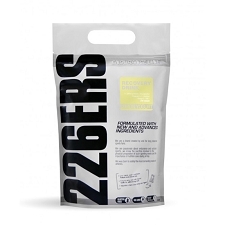 Customer Opinions "Sub9 Salts Duplos 2 caps."